Defra today published final estimates from the Department’s survey of municipal waste in England. 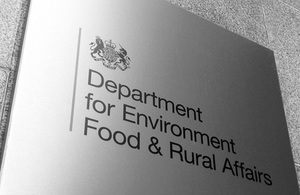 Defra today published final estimates from the Department’s survey of municipal waste in England, incorporating all four quarters of the 2009/10 financial year (April 2009 to March 2010). These results are based on information supplied by local authorities to WasteDataFlow on the waste that they collect and manage.